It’s official. Talented chess players from around the United States will be coming to California next February in order to compete in the 10th annual Susan Polgar Foundation’s National Open for Boys and Girls. Over $100,000 will be awarded in prizes, which include trophies, computers, chess prizes and scholarships to Webster University. In addition to these great prizes, winners of age appropriate sections will automatically qualify to play on Team USA at the 2015 FIDE World Youth Chess Championships in Porta Carras, Greece. To my knowledge, this is the first time in history that California has hosted a tournament which is an official qualifying event for the World Youth. Thanks to a partnership with the Torres Chess and Music Academy, this is also the first time that the Susan Polgar Foundation’s National Open for Boys and Girls will be played on the West Coast. Prizes: $100,000 will be awarded in prizes, which include trophies, computers, chess prizes, scholarships to Webster University and opportunities to qualify for the FIDE World Youth Chess Championships. With the Anand-Carlsen World Championship Match just days away, I have decided to start posting some of my favorite games played by either Viswanathan Anand or Magnus Carlsen. Our first game is taken from the 2003 World Youth Chess Championships. 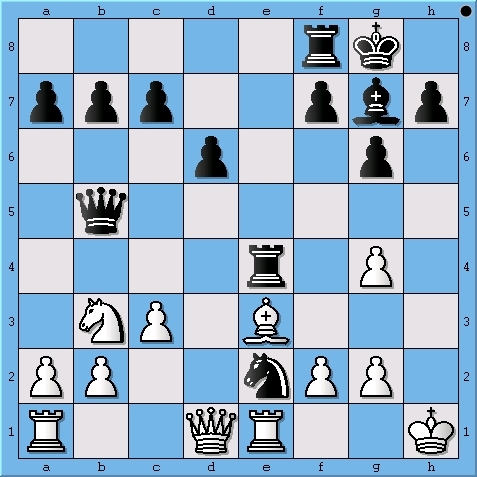 In the gem below, a fourteen-year-old Magnus Carlsen drops the “hammer” on his fellow Norwegian. 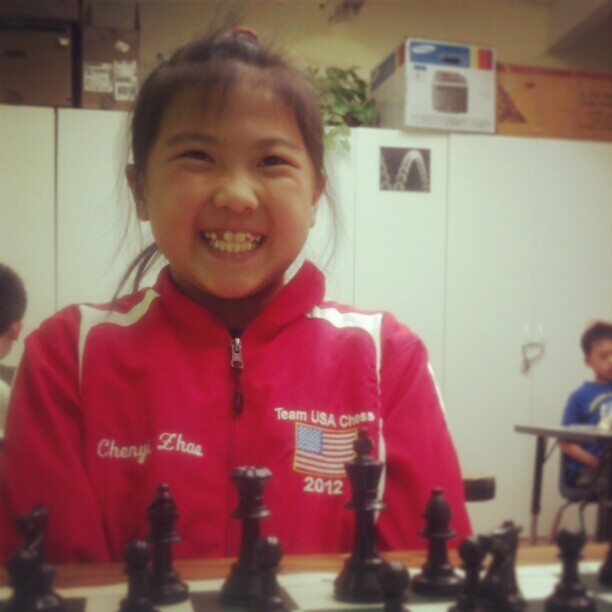 Chenyi’s chess future is as bright as her beautiful smile. the USCF Supernationals in Nashville, Tennessee. Milind Maiti, is a first rate chess talent who, sadly for this coach, no longer attends Collins Elementary School. However, any student I have ever coached, I remain a fan of for life. Besides, Milind’s natural chess abilities and pleasant personality make it virtually impossible not to be a fan of his chess. I still play chess with Chenyi Zhao every Thursday at Achiever Institute in Fremont, California. Even after all these years, I still am constantly impressed with her chess prowess and work ethic. After I play a game with Chenyi, she usually volunteers to help my four year old daughter improve her chess game as well. I have no doubt that Chenyi’s chess future is as bright as her beautiful smile. Ben Rood is scary good at chess. He has already won a couple National Championships but after barely missing a medal in Slovenia, Ben definitely has something to prove. When he has his “A” game going there is no one his age that can match his ability at chess. I predict another top finish for Ben in Nashville and a medal run at the next World Youth Chess Championships in Dubai. 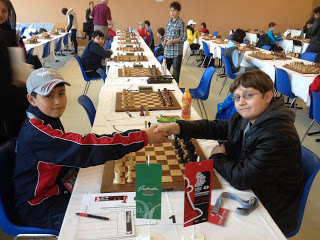 Young chess players from the San Francisco Bay Area took Maribor, Slovenia by storm this November. Their dominating performance at the World Youth Chess Championships once again proved that the best scholastic chess in the country takes place in Northern, California. Cameron was the sole leader at the 2012 World Youth Chess Championships for many rounds and was only eclipsed late in the tournament by fellow Northern California chess prodigy Samuel Sevian. Cameron, Samuel, and Ben are proudly carrying on a fine tradition of top level youth chess in the San Francisco Bay Area. If your child is interested in chess, Chris Torres recommends visiting his webpage www.ChessAndMusic.com as well as the main page for Calchess which is http://www.Calchess.org. Ben Rood likes his chances. Today was the break day for the young chess players competing at the World Youth Chess Championships in Maribor, Slovenia. Team USA is particularly dominant in the U12 Open where American chess masters Samuel Sevian and Jeffrey Xiong are tied for first and will be playing on board 1 in round 7. Only a half point behind and tied for second place are fellow countrymen Cameron Wheeler and Bryce Tiglon. In the U10 Open, Aravind Kumar and Trung Nguyen are tied for third with 5/6. Americans Annie Wang and Emily Nguyen will be playing each other on board 4 in the U10 Girls section. In the U8 Girls section, Aasa Dommalapati has played extremely well and is tied for second with 5/6. Finally, in the U8 Open, Tan Nguyen, Balaji Daggupati and super-star Ben Rood are still hunting for Gold. With so many players from the United States having won 75% of the games or more through 6 rounds, it seems very likely that several members of the American delegation will be awarded medals on the podium after round 11. Want to know what’s happening behind the scenes at the 2012 World Youth Chess Championships in Maribor, Slovenia? Please follow me on Twitter @TorresChess or on Facebook. Tomorrow two of my favorite young chess players will begin play at the World Youth Chess Championship in Maribor, Slovenia. As the President of the Torres Chess and Music Academy, I have had the distinct pleasure of coaching many of the top ranking scholastic chess players from California and can comfortably state that the two players described below are among the best chess players I have ever coached. Milind Maiti appeared in my class at the Collins Elementary School Chess Team in September of 2010. Sadly for Collins chess team, Milind moved houses and now plays chess at another Cupertino school. Milind’s strength lies in his incredible tactical abilities as well as his calm nature. At the board, he is a hard player to rattle and an even harder player to defeat. Ben Rood is a chess player who seems destined to become a World Champion. His love for the game and over all talent for chess is second to none. The highlights of his championship play include never losing a game at a State Championship, winning two national championships and placing higher than any other seven-year old at last year’s World Youth Chess Championship. 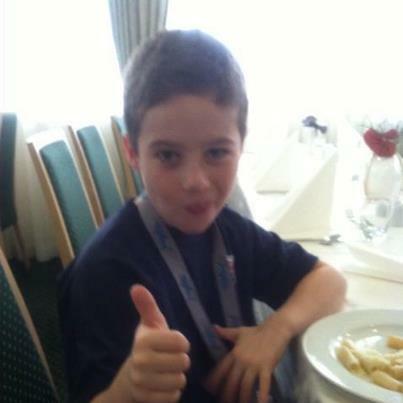 Ben Rood is a player who plays his best chess on the biggest stages and none are bigger for an eight year old than the 2012 World Youth Chess Championship in Maribor, Slovenia.